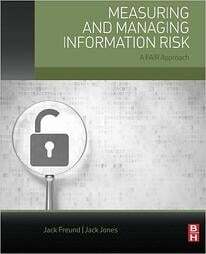 Jack Jones, the author of the Factor Analysis of Information Risk (FAIR) standard and of the award-winning book 'Measuring and Managing Information Risk', will be delivering the afternoon keynote to information security systems professionals at the Cornerstones of Trust Conference on Tuesday June 14th, 2016. The conference is being hosted by Information Systems Security Association of San Francisco, Silicon Valley and InfraGard chapters at the Crowne Plaza hotel in Foster City, CA. Securing everything isn’t feasible; organizations must prioritize wisely. How inconsistent terminology and widely varying mental models hamper the prioritization and communication of the value proposition of security to business leadership to get necessary support. Demonstrate challenges faced by the information security profession, and share practical methods for overcoming them by leveraging the FAIR open standard. Interested audience members should also plan on checking out FAIR Institute charter member and San Jose State University professor, Mike Jerbic's, FAIR training session at 6:15 pm. Are you interested in meeting Jack 1:1 during the event? Please make your appointment request via our contact page.